While watching a retrospective on the American film maker, Ken Burns, the commentator announced that Burns was soon to release a new documentary about the Vietnam War. After seeing a short heartbreaking clip, I thought about the 50,000+ American soldiers (many of them drafted) who lost their lives in a foreign war the U.S. inherited from the French who originally colonized this southeast Asian country. Ken Burns’s, The Vietnam War, recently shown on PBS, brought back the images that were so much a part of my childhood, many of them indelible—the sort of images that you can never erase but you wish you had never seen. I admit I don’t know much of the history and have not researched the politics surrounding the decision to send our troops into this small country. I have read only a few books about this war and seen even fewer films. The experience of the war for me, as a girl who had just lost her own father, is still raw and painful. My Vietnamese and Cambodian friends are too young to have experienced the war itself. Of course, its aftermath affected their futures in many ways, most are now American citizens, arriving as children with their parents as refugees, establishing new lives and professions, raising families. “When a soldier leaves for war, those left behind often wonder what their loved ones are experiencing. Letters home are always cheerful and vague – no sense in worrying the family. Then upon returning home, these young soldiers do not want to talk about their experiences. Family and friends allege they are now distant, changed, and not the same person they remember from several months earlier. What causes this? 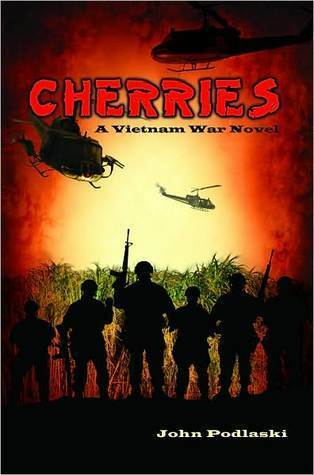 “Although the backdrop for this novel is the Vietnam War, ‘Cherries’ exist in every war. They are the young ‘Newbie’ soldiers, who are trained for war. However, most are not ready to absorb the harsh physical, mental and emotional stress of war. Once they come under fire and witness death firsthand, a life-changing transition begins. This eye-opening account offers readers an in-depth look into the everyday struggles of these young infantry soldiers. You’ll feel their fear, awe, drama, and sorrow, witness the bravery and sometimes laugh at their humor. “No two war experiences are the same, but after finishing Cherries – A Vietnam War Novel, readers will have a much better understanding as to why these changes occur and why our military heroes are different upon their return home. Veterans will relate! “Parental Rating: This book contains content that may not be suitable for young readers 17 and under. “Author’s statement: While Cherries is largely a work of fiction, many of the events and anecdotes described in the novel were based on the actual experiences of the author. The places and units mentioned were real and did exist. All characters portrayed are fictional, and any resemblance to actual persons, living or dead, organizations, events, and locales, are entirely coincidental. Another of John Podlaski’s novels is When Can I Stop Running, reviewed on VVA Books. John is a Goodreads author. When you see a Vietnam veteran, please say “Welcome Home, thank you for your service.” These “Cherries” deserved better than they received. Welcome home, John! Thank you for your service and your willingness to write about your experience. Thank you for the kind words. I am humbled and most appreciative to have my books featured on your website! You’re very welcome, John. 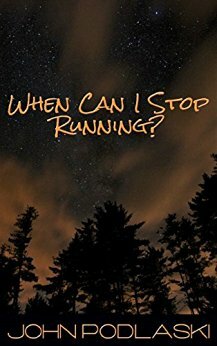 I’m looking forward to reading When Can I Stop Running too!